Micah Magee grew up in San Antonio, Texas and became active in pirate radio and print journalism. In 2001, Magee received a Fulbright fellowship for journalism and traveled to Berlin, where she stayed to study film directing at Deutsche Film- und Fernsehakademie Berlin (dffb). Her first feature, Petting Zoo, premiered at the Berlinale in 2015 and won several awards. Previous shorts were awarded by Oberhausen, Premiers Plans d’Angers, and the German Film Academy (Short Film Lola in Gold). 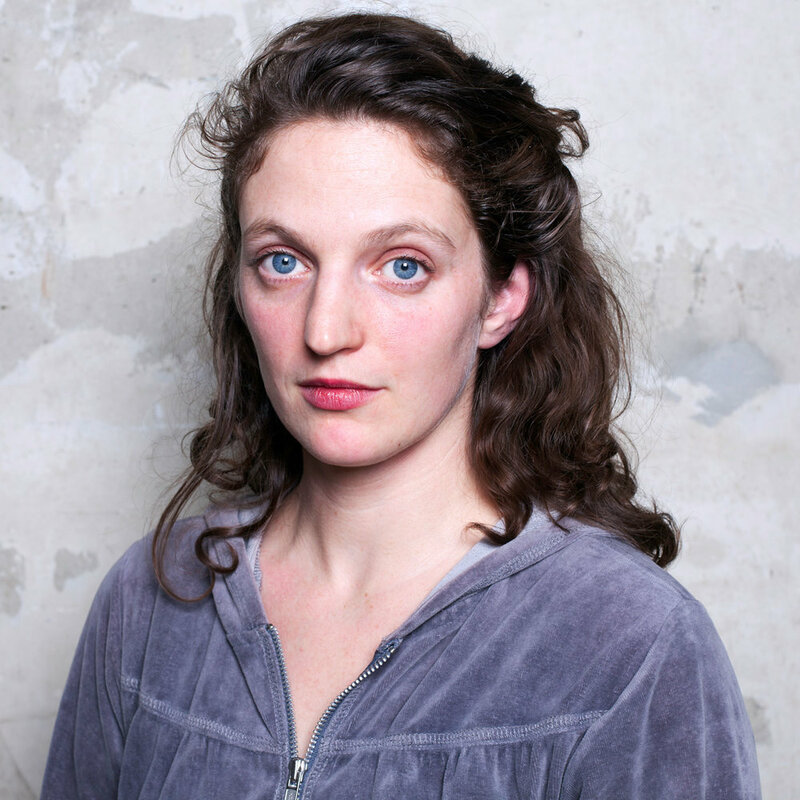 Magee lives in Denmark with her three children and husband, filmmaker Johan Carlsen, with whom she runs Makrorama, a directors’ co-op and production company. Two years ago I attended the Berlin Film Festival for the first time. Berlinale is, to say the least, a one-of-a-kind experience. One of the most exciting parts of the festival is the European Film Market. An attendee can walk around the EFM and visit various production and distribution companies from all over the world. I remember at one booth (out of hundreds), noticing a poster for a film that intrigued me entitled Petting Zoo. It featured a simple still of an innocent teenage girl in the back of a car, looking out at the street-lit highway glowing behind her. I picked up the pamphlet from the company, The Match Factory, and while I was not able to attend the in-demand screening of the film, I didn’t forget about it. A year later, I was walking around Paris alone one afternoon, after spending the day at Centre Pompidou, where I had been reliving the heady days of the Beat Poets. As rhythmic poetry whirled in my head, I passed a tiny jewel of a cinema (Paris is known for their amazing independent cinemas.) The same poster caught my eye, except this time, Petting Zoo had been renamed Layla in The Sky. I bought a ticket and entered the dreamy and achingly identifiable world of the film’s protagonist, Layla: an intelligent Texas teen from an extremely conservative household who accidentally becomes pregnant and has to deal with the gut-wrenching and surprising consequences. A still from Petting Zoo. Micah Magee, the Texas-born, German-trained, and now Denmark-based writer/director, was one of the first filmmakers I thought of to include in this portfolio. Her film deeply affected me, in a way that’s difficult to convey. I spoke to Magee by phone from the quiet countryside in Denmark, where she is a professor at the European Film College and lives with her husband (also a filmmaker) and three young sons. Magee, who’s originally from San Antonio, Texas, wanted to make a film inspired by the place where she grew up. She moved to Europe to study early in her career; I suppose that’s what gives the film its naturalistic, impressionistic touch, one that’s so rarely seen in American indie drama. Petting Zoo served as Magee’s final project for her directing course at the DFFB (Germany’s premier film school.) “The film is semi-autobiographical, and in order for the film to have that real authenticity, I decided that it had to be cast with (mainly) non-actors from the San Antonio area. I found Devon (Keller) who plays the lead, Layla, at a school fashion show at my old high school. She actually won a raffle and her prize was a Taco Bell burrito,” Magee says with a laugh. “She just had this quality about her, and I knew she was Layla.” Magee also worked with a tiny crew to be able to give the actors a level of comfort and freedom. Keller gives an impressive, rich performance in the film, which premiered at Berlinale in 2015 and also screened at South by Southwest. We also spoke a bit about the subject matter of the film, namely teen pregnancy, and how, oftentimes, films that focus on it end up exploring it in predictable ways. Petting Zoo does the opposite, by portraying teen pregnancy in a starkingly real light and not apologizing for it. Layla explores a potential abortion and experiences her pregnancy while still coming of age and not trying to miss out on that singular phase of life: she goes to concerts with friends, falls in love, and gets a restaurant job to make ends meet. It makes the audience consider the reality of young women in this situation who are also simply trying to live their daily lives. “You know, it’s very hard making a feature film, getting it funded, telling the story you want to tell, and I am very grateful this film got made,” Magee says.